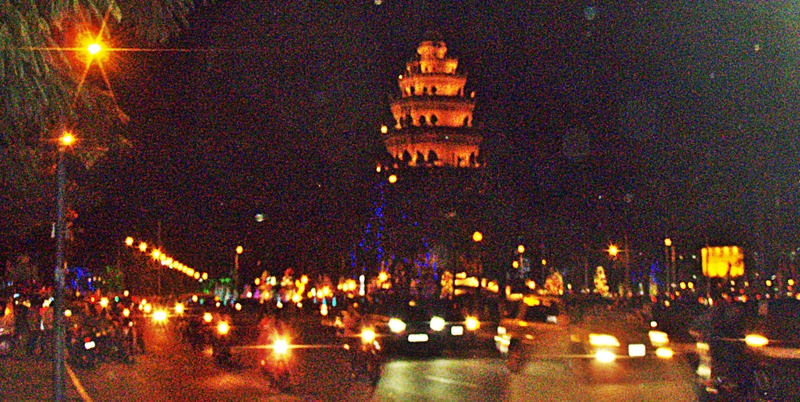 Christmas Eve in Phnom Penh is a wonderful experience! I met a British tourist who was on the same bus from Kep for dinner and then we walked around enjoying the lights and activity. Tonight was one of my most unusual Christmas Eves – enjoyable and memorable! This entry was posted in Cambodia by suemtravels. Bookmark the permalink. Real wonderful visual appeal on this web site, I’d rate it 10.